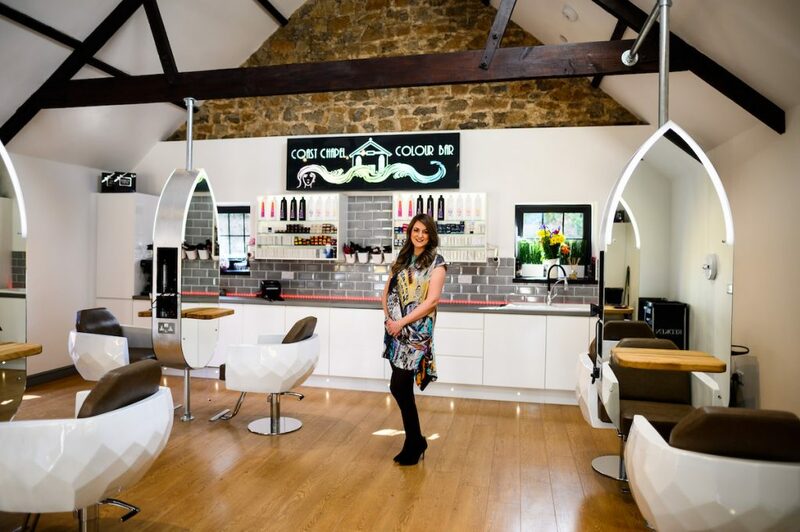 When you walk into Coast Hair and Beauty Studio’s new salon in Ewenny, the first word out of your mouth will be “Wow!”. Owner Stacey and husband Jamie bought and renovated the chapel a few doors up from the previous salon and set about turning it into a totally cool and unique space. We chat to Stacey to find out more. 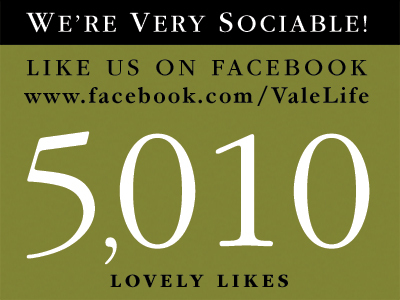 Congratulation on the new salon. Why the move? We’ve always wanted to create a salon from scratch, the way we wanted it, so when the Chapel became available it was as if our prayers had been answered. We wanted to create an environment for our clients that is more like a high-end salon found in London. We wanted to set ourselves apart from everything they would have seen before. We have just had our second child (I was painting the landing just after the birth), so this is a real investment for our family. We’ve put our blood, sweat and tears into making it what it is today and we’re really proud of what we’ve achieved. What services are you now offering? The same quality of services as the former salon but in a much more contemporary environment. We now have a Colour Bar on the first floor, where stylists can mix the colours in front of the clients so there’s very little downtime spent in a staff room where, traditionally, this is usually done. We are a Redken salon and are delighted to be using the full colour range by this brand and are also the only salon in the area using their newly launched Colour Gels. Our experienced staff consist of myself (Artistic Director), Kinga (Artistic Director), Lisa (Creative Director), Gina (Creative Director), Lara (Senior Stylist and Beauty Therapist), and Abbey (Graduate Stylist). 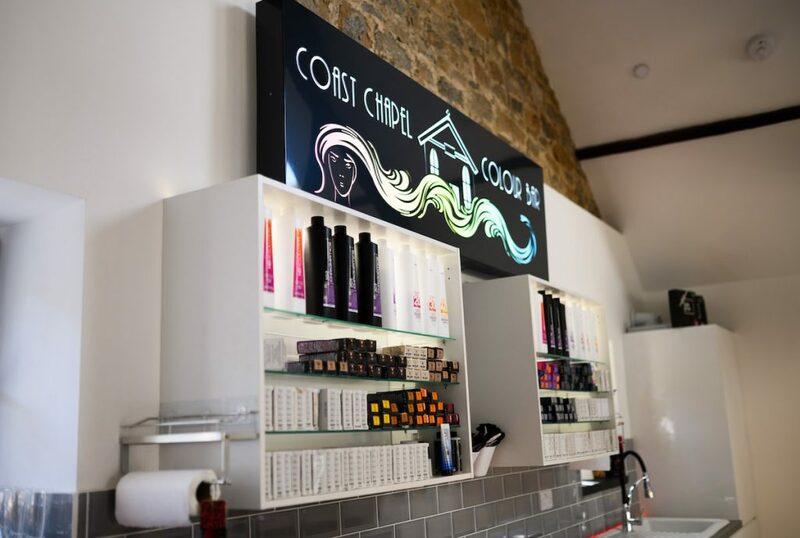 All have excellent skills at cutting and styling, but we really specialise in colour – highlights, Balayage and colour correcting and the treatment of over processed hair. We like to take our clients on a hair journey. We also specialise in cutting short hair. Our clients love our custom-made double-sided units (which we call our “alters” as they mirror the original windows of the chapel). They are positioned so that clients can speak to one another if they want to, so it makes for a more sociable environment. The Blow Dry Bar is also a huge success. Clients can pop in for a blow dry with a glass of Prosecco, have their make-up done and then pop up the road to the newly renovated Fox Pub whose new owner is the celebrity ex-Rugby star, Gavin Henson. We’ve also had fab comments about the artwork in the Blow Dry Bar. The stunning painting is by Jamie’s mum, Nicolette Griffiths, who has exhibited in the Royal Academy, amongst others. This backdrop is what we now use for our Facebook and Instagram after shots. Lara excels both as a hair stylist and beauty therapist and her client base is growing daily. We also offer GP led anti-wrinkle treatments, glycolic, retinol peels and body wraps in our more spacious beauty room. 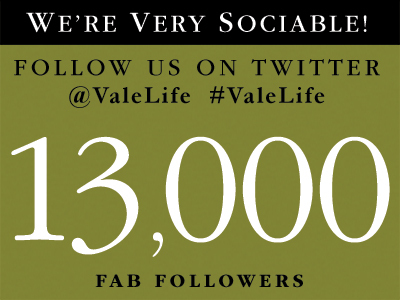 Our lady GPs are from Vale Aesthetics and are by appointment only (please call the salon). In the warmer weather, we have a terrace area where clients can relax with a glass of bubbly or hot drink after a treatment. Our prices are very competitive. Our investment hasn’t meant that we’ve increased our prices. We just wanted our clients receive a much more enjoyable experience. We realise that people are busy these days, so we have introduced an online booking system. Clients can book their appointment on their chosen day and time and with their preferred stylist. What do you think makes Coast Hair and Beauty Studio special? Without being arrogant, I do believe it’s due to my eight years of experience in the industry. I have very high standards of customer care – being friendly, professional and sociable is crucial and I have instilled this in my staff. We all get on so well and they absolutely love the new salon. Their enthusiasm is infectious, and our clients get the benefit of this. As well as loving the new salon, our clients say that they love the unique experience of being in a renovated Chapel. It has such a calming essence that makes each visit so enjoyable, that they can’t wait to come back!